We’re finally getting a sequel to the beloved 1982 Jim Henson and Frank Oz film The Dark Crystal, but it won’t be a movie. 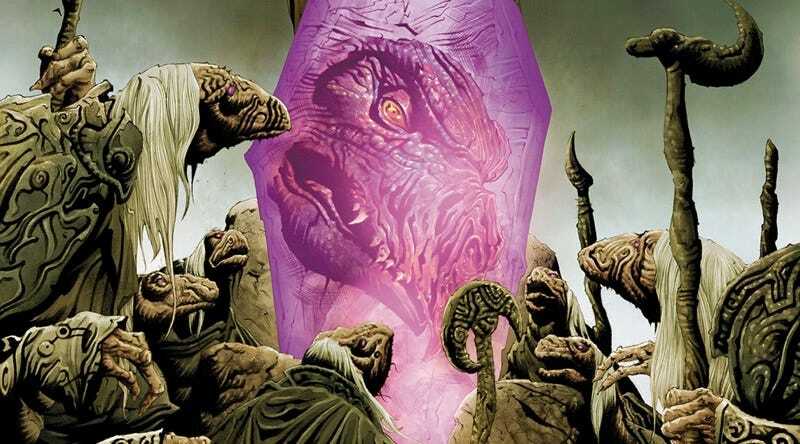 Instead, The Power of the Dark Crystal will be hitting shelves as a 12-issue comic series, based on the unused feature script and drawn by artists with an eye toward the legendary Brian Froud. The first issue of The Power of the Dark Crystal will be available February 15, 2017. Dark Crystal Wedding Cake! Dark Crystal Wedding Cake!